Those who wish to enjoy the perks of an iPhone without actual phone capabilities, or its increasingly steep price tags, might revel in this piece of news: Apple is reportedly developing a seventh-generation iPod Touch. This conjecture comes courtesy of two reports, with the second one hailing from Apple itself. Apple last released the iPod Touch four years ago. The multi-purpose music player boasted most features of the iPhone sans a cellular modem, and was slimmer, lighter, and less expensive in comparison. Now, fans can cling onto the hope that the iPod Touch might be revived. The first report perpetuating this belief comes from renowned Japanese Apple-focused news site Mac Otakara, which cited that suppliers at CES 2019 mentioned that Apple “might” be developing a replacement for the sixth-gen model. However, the site did not elaborate on a possible release period for this gadget, or how else Apple might improve on the sixth-gen iPod Touch, which arrived in six finishes with an A8 chip and 8-megapixel rear camera. Following this report is an extended trademark filing for the iPod Touch by Apple that was picked up by MacRumors. The application for the term “iPod Touch” was approved by the US Patent and Trademark Office this month. It was edited to cover for “Hand-held units for playing electronic games; Handheld game consoles,” under International Class 28, which is a class for games, toys, and sporting goods. 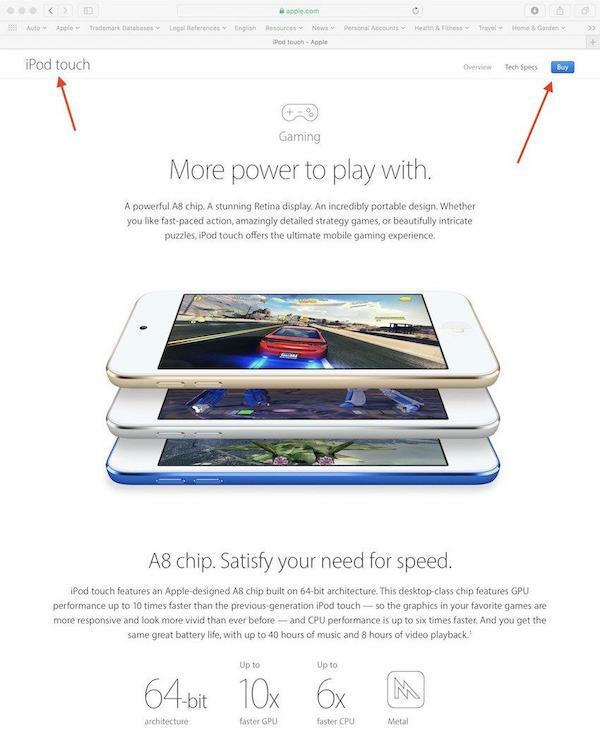 To justify the new trademark application, Apple enclosed a screenshot of the ‘Gaming’ section of its iPod Touch webpage, shown below. It’s still unclear how the potential iPod Touch might be upgraded, but considering Apple’s history, it’s definitely possible that the supposed next-gen product will feature an enhanced rear camera, faster A-series chip and maybe even a notched design. The trademark filing also points at a potential emphasis on its gaming functionalities. 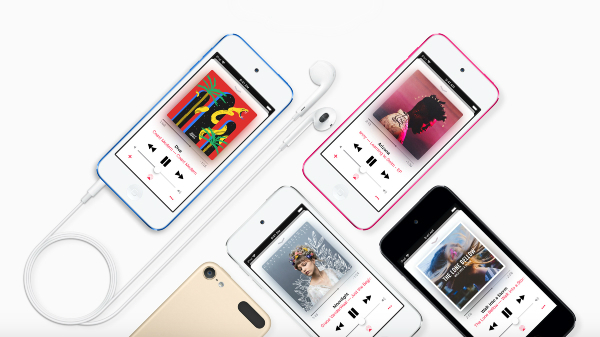 As it stands, the sixth-gen iPod Touch can be purchased on the Apple website at US$199 for the 32GB version and US$299 for the 128GB option.